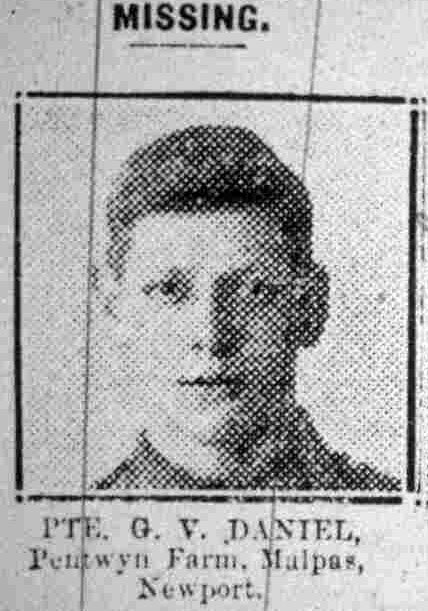 Private Vernon George DANIELS. 35730. 5th Battalion the Yorkhsire Regiment. Formerly 238858 12th Yeomanry Cyclist Battn. Son of John and Emily Daniels, of Pentwyn Cottage, Malpas, Newport, Mon. Died 15 November 1918. Aged 19. Born Newport (Mon. ), Enlisted Newport, Resided Malpas.